The helpline had a lot of queries around the time of Storm Emma about the schemes available to help people in emergency situations and the role of the Community Welfare Officer, writes Gerry Scully. During Storm Emma I heard about the Community Welfare Officer and the payments that might be available to older people who were affected by the recent bad weather. Can you explain how these payments work? The two payments mentioned during Storm Emma are the Urgent Needs Payment and the Exceptional Needs Payment. These are both administered by an official called the Community Welfare Officer, which some of our older readers might remember used to be called the Relieving Officer. They are based in local health centres or clinics. It is their job to provide funding for people on limited means who suddenly need to cope with an unforeseen emergency. The Urgent Needs Payment is for people who are affected by emergencies, such as fires, flooding or other severe weather events. It covers items such as food, clothing or alternative temporary accommodation. It is means tested and they will look at your entire means, including income, savings and property excluding your family home. You will need the PPSN for everyone in your household and it is important to know that this payment may be recoverable if your situation improves. This is a once-off payment for dealing with an unforeseen life event such as setting up your home for the first time, the cost of visiting family in hospital or in prison or, in exceptional circumstances, for helping with funeral costs. You may also be entitled to get the payment if you find yourself hit with an unexpectedly high energy bill and this might be something to bear in mind in the aftermath of Storm Emma. Again, this is a means tested payment and you will have to supply a PPSN for everyone in the household. The decisions of a CWO cannot be appealed but they can be reviewed by the by the Social Welfare Allowance Review Officer for the office which made the original decision. 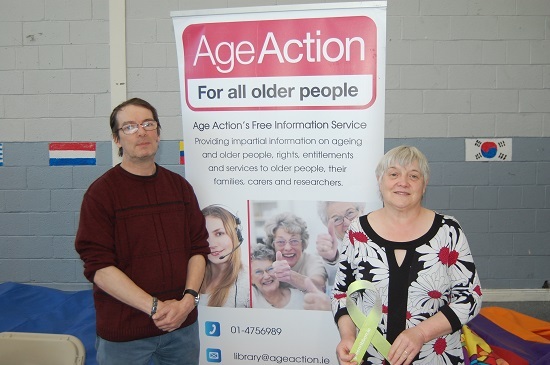 For more information, or for assistance in making an application for either of these payments, you can ring our Information Service on 01 475 6989 or email us at helpline@ageaction.ie.